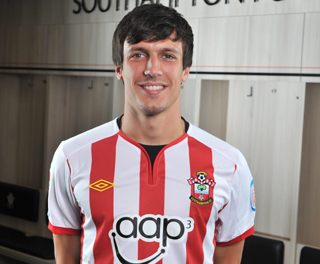 Jack Frank Cork is an English professional footballer who was born on June 25, 1989 in Carshalton, England. He plays at the position of midfielder for his team. He is son of the former footballer and manager Alan Cork. He currently plays for the Premier League club Burnley and England National Football Team. Cork joined Chelsea Youth Academy at the age of just nine in 2006. He made his first appearance for them in a match against Club America on July 14. He played at a position (left back) which was new for him. He has also represented England at U19 level where he made his debut against Czech Republic in May 2007. Besides that he was also part of the English team during the 2008 UEFA European Under-19 Championship and 2011 UEFA European Under-21 Championship. On November 7, 2017 he was called up to the England squad for the friendlies against Brazil and Germany. He made his debut in a goalless draw game on November 10 in the 86th minute as a substitute at the Wembley Stadium. On July 7, 2011 Cork joined Premier League Club Southampton for an undisclosed fee. He ended the 2011-12 season as the only Southampton player who appeared in their every league game. They ended as the runner-ups in the Championship. On August 26, 2013 he scored his first goal for Southampton in a 2-0 over Millwall. Later that year on October 26 Cork came during the final minute of Southampton's 2-0 win over Fulham which was marked as his 100th appearance for the club. Cork began his youth club career at the age of just nine with Chelsea in 2006. He made his first appearance for them on July 14, 2007 against Club America during the Chelsea's pre season tour of the United States. He moved to Scunthorpe FC for their 2007-08 season. His first goal for them came against Coventry City in a 1-1 draw on November 27, 2007. He made 37 appearances for them during that season and won the club's 'Player of the Year’ award. On August 21, 2008 Cork joined Championship club Southampton on loan but soon joined Watford after that. His first goal for them came in a 4-3 victory over Crystal Palace during the FA Cup on January 24, 2009. He then played for Burnley before moving back to Southampton in 2011. For Southampton, he then went on to play more than 100 games with his first goal came against Newcastle United in a 4-0 home win on September 13, 2014. In 2015, Cork signed for Swansea City on a three and a half year contract for a fee of£3 million. His first goal for them came on April 13, 2015 in a 3-2 away win over Newcastle United. In 2017, he was later transferred to Burnley on a four year contract and scored his first goal for them November 18 in a 2-0 win against his former club Swansea City. He was a part of the Southampton team when they were the runner-ups during the Football League Championship in 2011-12. In his individual records, he won the Scunthorpe United Player of the year in 2007-08.